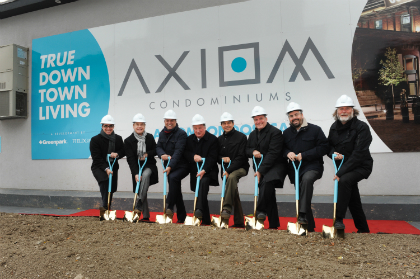 AXIOM Condos in Toronto is Now Under Construction! Fieldgate is making headway at AXIOM Condos in Toronto! Soon, AXIOM will be making a strong impact on the downtown Toronto streetscape.